Sovereign debt, corporate debt, margin lending, household debt, mortgage debt, consumer finance debt, student loan debt, and so on and so forth. Do you ever need to repay any of it? There are interest-only mortgages. Equity release can fund your retirement or another property purchase. Anyone who buys your house will get a mortgage to do it. You can juggle credit cards. Student debt repayments only kick in eventually. Companies and governments just roll over their debt. It’s deeply ironic. The only debt we will try to repay as a country isn’t a debt at all. It’s an unfunded liability. I’m talking about pensions. The promise to pay people in retirement. Because you can’t just roll over that debt. It’s coming due. It has to be paid. Governments, companies and funds have all made these promises. But nobody is entirely sure who is actually going to pay for them. Spending in the economy would collapse. There’d probably be some sort of political revolution if the government simply refused to pay up or bail out companies’ pension liabilities. So someone has to pay. Which brings us back to the question of who is going to pay? Will it be young people? They’re busy trying to save for their own retirement. Politicians have decided to go from a model where the young finance the old continuously, to a model of saving and investing for yourself in retirement. 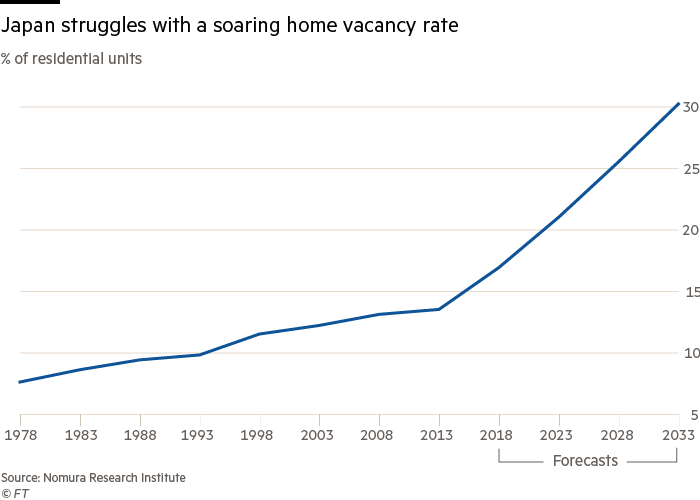 But where does that leave the coming group of retirees? Who will fund their current retirement if the young taxpayers will be busy funding their own? Or will the future taxpayers have to pay for their own and the baby boomers’ retirements at the same time? Fund manager Rob Arnott and finance professor Lisa Meulbroek turned this problem into a metric we can all understand for The Wall Street Journal. In the US, state government pensions are wildly out of control. They average out to $75,000 per household, with some states far worse off. But here’s where it gets interesting. A key source of funds for these governments is property tax. All other forms of wealth can move across state lines if the state government tries to hike taxes. Property stays. Somebody has to pay its tax. If homeowners had to pay up on their state’s unfunded liabilities, where would that leave them? With a “stealth mortgage” that amounts to about 20% of their property’s value, write Arnott and Meulbroek. In other words, the typical American household has a hidden mortgage worth about 20% of the value of the property they live in. A mortgage that must be paid to fund the unfunded liabilities of state pensions. If this seems abstract, consider what happened to Detroit. Much of the formerly prosperous city is now abandoned. You can play golf through neighbourhoods and homes, as one American journalist did a few years ago. Rising property taxes for funding city pensions drove many people away. In Illinois, the same thing is playing out now. People see the bill which is coming due on the state’s promises. And they know it’s property that will have to pay. So they move to another state. In other words, forcing people to actually pay up on impossible promises can completely trash an economy, especially the housing stock. Not that not paying would be much better. Who will take care of these people now? And who will pay for it? Ministers are considering a so-called “retirement levy” which would see taxpayers pay a lump sum to the Government in order to meet the spiralling costs of residential and social care in old age. The proposals would see retirees make a one-off payment into a ‘national care fund’ which would go towards meeting the costs of funding their stay in residential homes, it is understood. With the number of people over 65 set to grow by 75% in two decades, you can imagine why the government is worried. Sources close to Matt Hancock, the Health Secretary, didn’t rule out the move, with one telling The Telegraph: “Nothing is off the table”. Meanwhile, a senior Government source said that ministers were considering “various ideas” around funding social care, adding that they were determined “not to burden younger people” with ever higher taxation. Don’t forget that funds are fungible. The government is arguing about moving money from one end of the bathtub to the other to stop someone from drowning. In the end, all promises are paid with taxes, or defaulted on. Creating a specific tax to fund a specific programme is just a tax hike in disguise. It’s not like the government won’t pay for people’s aged care if the retirement levy doesn’t raise enough money. Do you remember the dementia tax disaster? Some say it cost Theresa May her majority. The proposal to add the value of your home to the calculation on whether you have to pay for your own aged care caused outrage. My guess is that both the politics and taxation linked to our demographic change and pension promises will wildly escalate in coming years. In a bad way. Programmes like auto-enrolment and taxes like the dementia tax and the lump sum retirement levy are signals and warnings. The government is getting your wealth into the system so that it can effectively rob it when the retirement system fails to deliver on its pension promises. To protect yourself, you need to keep some of your money off the government’s radar. Not illegally or even in questionable ways. Just in ways that it’s difficult to reach when they change the rules on you. We’ve prepared a report for you on how to minimise or even eliminate your inheritance tax. The key to securing your children’s retirement will be passing on your wealth to them instead of offering it up to the government. The second option is to invest in gold. Not gold exchange-traded funds, gold stocks or gold futures. I’m talking the sort of gold you can get your hands on. And keep as a personal item. Because of the difficulty of effectively taxing gold held in your personal possession, I think governments are disproportionately less likely to try and tax it. Digitally held assets like your stocks, and assets which are already taxed like property, will bear the brunt of the burden. Because it’s easy for the government to get at them, without even asking you. But what are the prospects for the gold price as an investment? Boaz Shoshan’s latest Gold Podcast is up. He’s interviewed The Fleet Street Letter’s Charlie Morris – a long-time follower and investor in gold. They also cover the prospects for cryptocurrencies. I’ve been in Japan for three months as of today. My intention was to do some research into demographics and how Europe and Britain will change in coming years. But I seem to have landed in the most fertile part of Japan. There are children everywhere. A recent visit to an age care facility and hospital didn’t exactly trigger any epiphany. They’re the same as anywhere. Without the immigrant nurses and staff though. Grandma was as talkative as ever after a hip replacement. Grandpa’s dementia cleared momentarily, allowing him to shake my hand and congratulate me on my engagement to his granddaughter. If he had discovered I will not become the fourth generation dentist in small town Japan, he wouldn’t have been so happy. Despite the lack of anecdotal evidence for me, the statistics and stories about Japan’s demographic change do still pop up. Some are very odd. And some we’d expect. Investing to fund a pension or retirement failed miserably in Japan. House prices crashed and kept going. Stock prices too. Property is seen as a consumption item, not as an investment. It’s not hard to see why. There are empty houses and villages dotted across the country. Meanwhile, there are people stuck in homes across the country who can’t sell out. The value has fallen so much, it’d realise a devastating loss. Especially if they still have debt. Instead of annuities, pensions and downsizing, some Japanese retirees rely on the prison system for food and shelter. The life of petty crime while trying to get arrested obviously helps too. I don’t know to what extent this was true before the Japanese bubble economy, but collective family responsibility seems to be the favoured solution to demographic change. 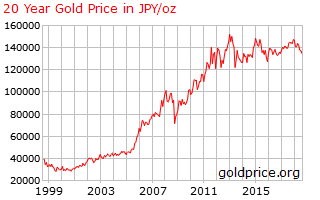 By the way, how did our recommendation to buy gold work out for the Japanese investors?